Polk’s Medical Register and Directory – Tell my story. This is an image of the medical school attended by Dr. Francis C. Wilson in 1891. Unfortunately, I have not been able to find the bulletin for the year Emmett’s father attended, but this one offers a nice rendering of the actual facility where Dr. Wilson took classes between February and June, 1891. Doppelganger! Maybe. Maybe not. Source: AAMC archival holdings. I imagine that Dr. Francis Wilson of Florida was in at least one of Dr. Francis Wilson of Kentucky’s classes. I can’t prove it yet. But these two men were at this institution at the same time, in 1891, when Dr. Francis Wilson of Florida was enrolled. I can imagine also Emmett’s father writing humorous letters to his mother, Elizabeth, about the coincidence. 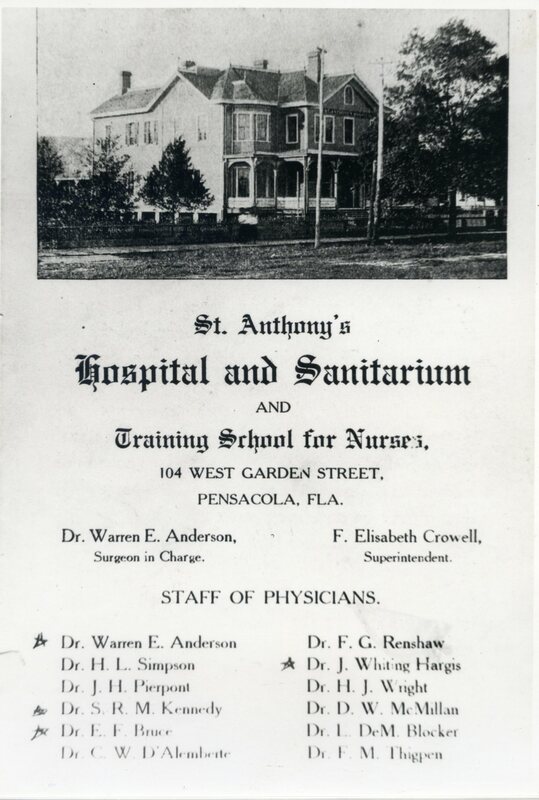 One of the early hospitals in Pensacola was St. Anthony’s Hospital and Sanitarium, which also was known as the Pensacola Sanitarium. It was located at the corner of Garden and Baylen Streets. Promo piece for Pensacola Sanitarium, which also went by St. Anthony’s Hospital and Sanitarium. 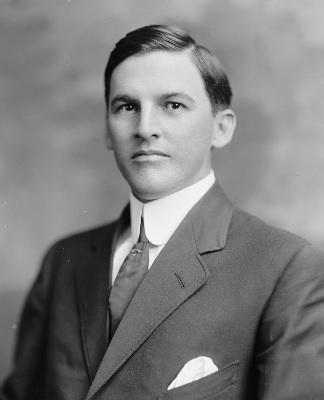 Dr. EF Bruce was the physician who signed Emmett’s death certificate in 1918. Source: Pensacola Historical Society. 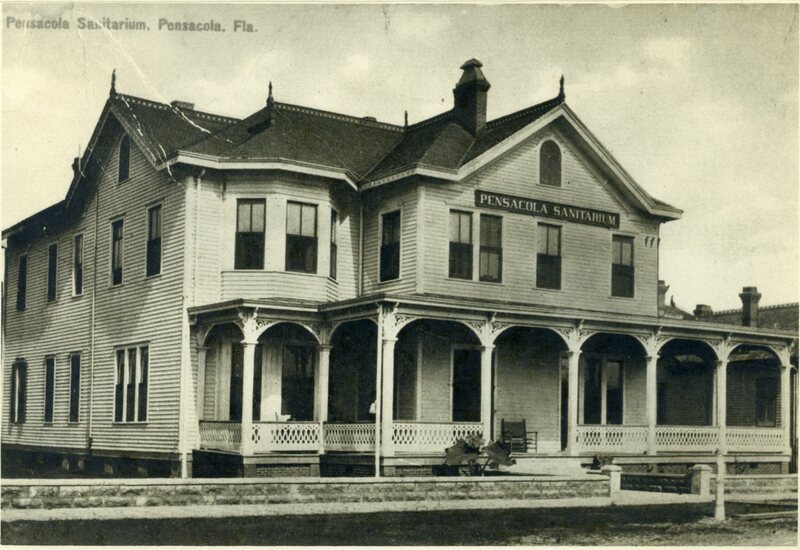 There weren’t many hospitals in Pensacola during the early 1900s; you certainly wouldn’t have seen a large medical center along the lines of what we know today. St. Anthony’s looked like a lovely old home, and in fact, many hospitals in smaller towns like Pensacola were originally large homes or mansions refurbished into medical facilities. St. Anthony’s was privately owned, and could handle about 50 patients at once. Notice what will be built at the corner of Garden and Baylen? The Osceola Club. Source: PJ, January 5, 1907. The new building that replaced St. Anthony’s Hospital at the corner of Garden and Baylen was none other than The Osceola Club, a very expensive, exclusive men’s bar and social club. Membership in The Osceola Club in the early 1900s would have been limited to the equivalent of millionaires only today. Emmett certainly could not have afforded the annual membership dues on the salary of Assistant District Attorney in 1907 (which was $1700* a year, later $3500 when he was made District Attorney). But, he was a member of the club. Odds are that he was able to barter legal services for some of the officers and important members, as necessary, to cover the basic annual dues, which did not include meals or the bar tab. The Osceola Club is significant in Emmett’s story. According to family history, it was a wealthy member of this club who introduced Emmett to drinking. Drinking, of course, is what led to Emmett’s death. St. Anthony of Padua. Patron saint of the lost. What I found a bit ironic about this story of The Osceola Club was the fact it was on the site of a property once dedicated to St. Anthony: The patron saint of lost things, lost people, lost faith. People often invoke St. Anthony on behalf of loved ones lost to alcoholism. The Osceola Club is no longer at the corner of Garden and Baylen. Today, there’s a Bank of America office on that site. *$1,700 was the equivalent of about $34,000 a year in 2015 dollars. Speaking of architecture, the workshop I am taking on story architecture is going well. Likewise, I am almost finished with a test of MindMeister, which I probably will use in the development of chapters in Emmett’s book. I’m trying not to get over-organized in structuring Emmett’s story, but I like the idea of an interactive graphic map that I could manipulate easily as new information becomes available, or, if I need to tear down/rebuild a scene in a chapter. More to come, folks. Stay tuned.